The following article contains directions on how reserve an individual space on campus. Once you create your event, it must still be approved. 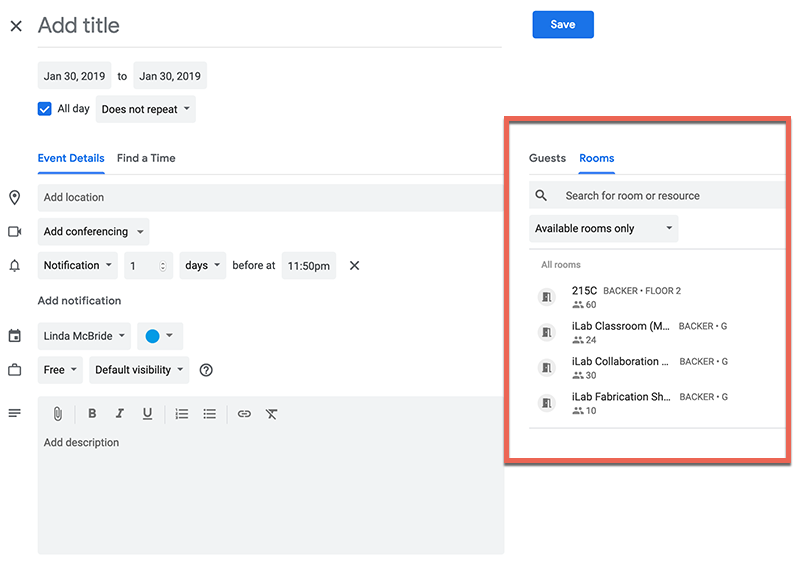 Your reservation is not complete until you receive an email from the room (For instance: Backer-2-215C) stating that your invitation has been accepted. 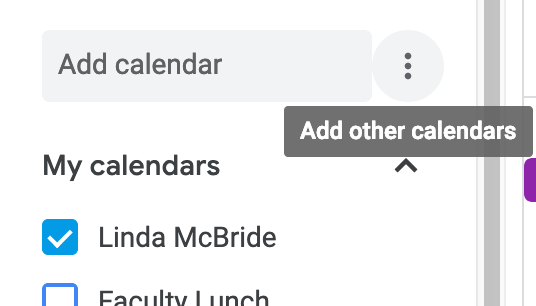 If you would like to view the calendar for a room, on the calendar page on the left hand column, click on the ellipsis button (3 vertical dots) next to the "Add Calendar" box, then choose Browse Resources. 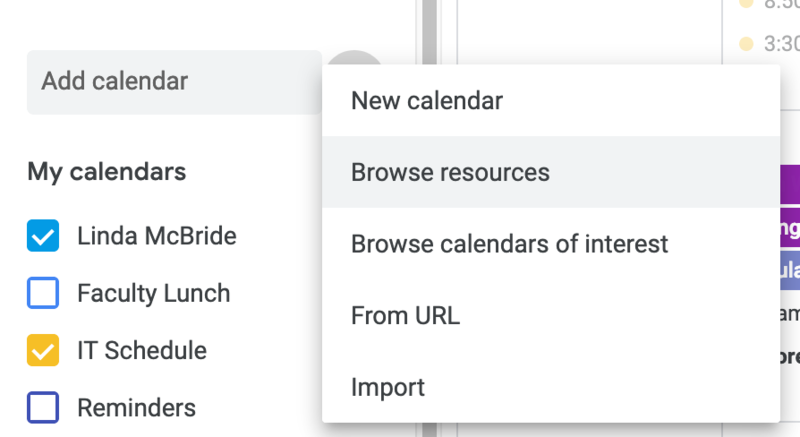 Check any room calendars you would like to add to your Google Calendar.